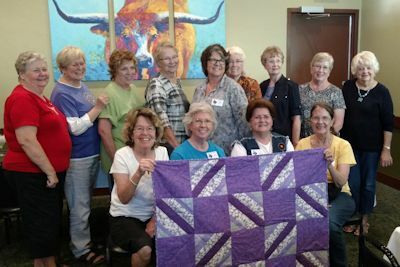 HOT ladies show off a "love quilt" made for a member of the club. 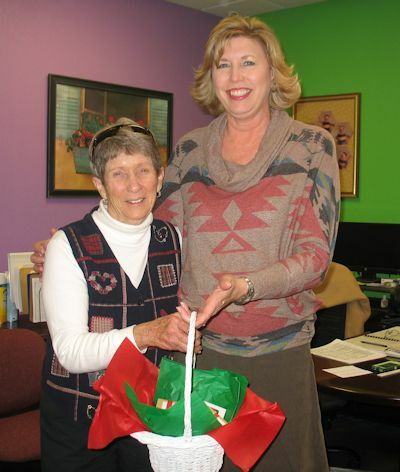 Peggy Riedel ( left) is presenting $650 worth of Wal-Mart gift cards to Tammy King, Director of Johnson County Child Advocacy. Children will spend their gift cards on presents for themselves. 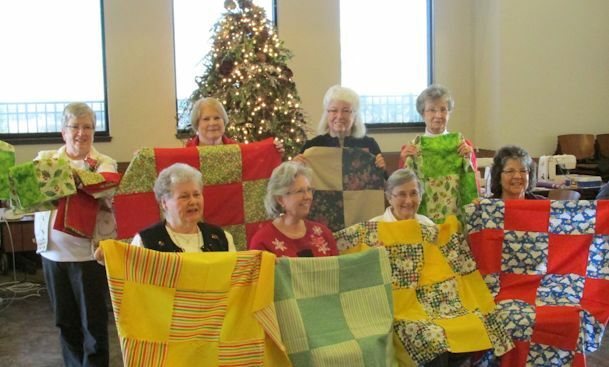 As often as possible, the quilters bring their machines and sew up quilts and comfort items for the Poetry United Methodist Church where the items are distributed to the needy. The ladies have made hundreds of these items and have been named as a subsidiary to the church quilting group. 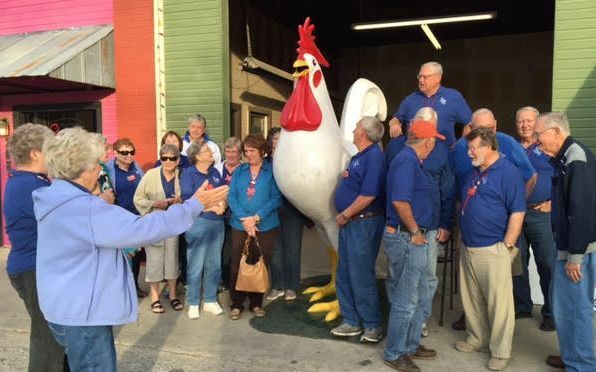 Members love to eat out and are waiting impatiently to enter Babe’s Chicken in Sanger. The Heart of Texas Winnies was organized under a charter granted by Winnebago Itasca Travelers (WIT) on November 4, 1972. 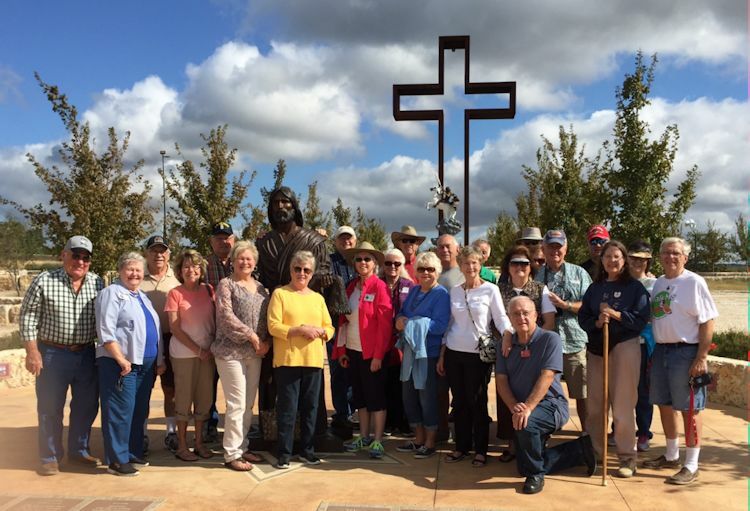 The chapter represents the greater Dallas-Ft Worth area. Any owner of a Winnebago or Itasca product who ENJOYS HAVING FUN and who is also a member of the Winnebago Itasca Travelers Club (WIT) is welcome to join. 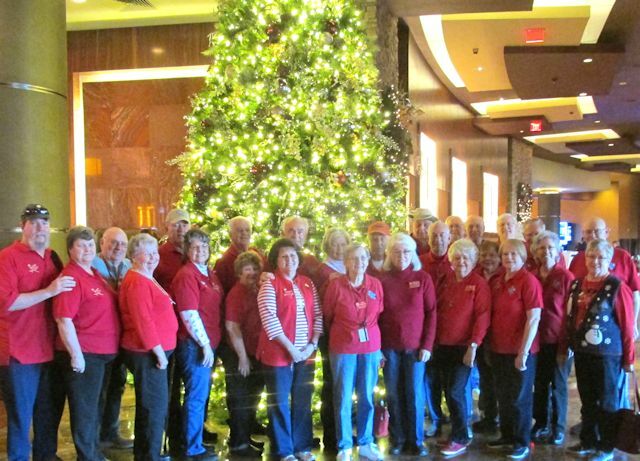 Most members are retired; however, we have members who are still working but who want to join in the good RV lifestyle. Our meetings normally begin on Thursday the 3rd weekend of February, March, May, June, August and September. Our November and December meetings are the 2nd weekend. Our meetings are held at locations within 150 miles of DFW area. Our meetings normally begin on Thursday and run through Sunday morning. However, many members arrive as early as Wednesday so they can have more fun. Members and guests may arrive early and stay late if they desire. A typical meeting usually includes playing games, eating out on Friday evenings, conducting a business meeting Saturday morning, playing more games, and having a potluck meal Saturday evening. A devotional is held Sunday morning before the meeting is over and members head for home. 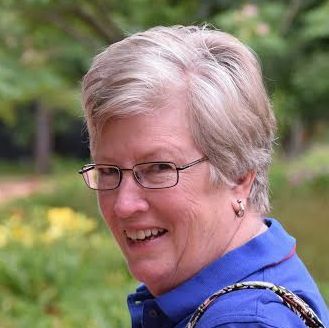 Throughout the days and evenings, members enjoy playing games such as Joker, Dominoes, Thirty-one, or Mexican Train, in addition to working on puzzles or crafts. Members enjoy visiting attractions or shopping in the local areas. We also hold meetings during the Texas W Club meetings in January, April, and October and attend GNR in July. garden, located in the hill country at Kerrville, Tx, on IH 10.
sculptures and the scriptures along with the Scripture tiles. Louisiana Gardens & Casinos, and South Texas.